COMMENT | I know many disagree with me, but I still believe that de facto Pakatan Harapan leader Anwar Ibrahim deserves his shot at the hot seat. While I may not have liked the "PD gambit", it was a necessary political move for him to make. The real electoral battle Anwar waged in Port Dickson was not with his six contenders, but with the vox populi of Harapan. While Harapan political operatives eventually jumped on board the Anwar Express, his main problem will always be with a certain segment of the coalition’s base. With a significant mandate from Port Dickson, we will now discover if Anwar is the reformer he claims to be, or a Trojan horse of religious extremism. There is a lot riding on his return to official political life. 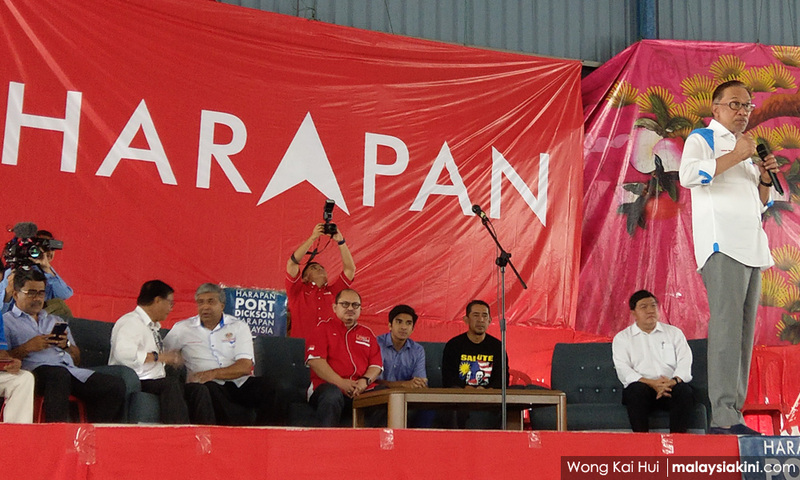 The Harapan base is divided on the issue of Anwar. Indeed, the various factions within PKR, either aligned with him or with other Malay power-brokers, are flashpoints that he has to deal with. If this infighting prolongs, there will definitely be a split in Harapan. It is pointless telling people that all is well when the political operatives bicker in public, and the base contributes to the narrative that either Anwar is the saviour or destroyer of Harapan. Honestly, he could be both, and only time will tell. What Anwar needs to do now is rally the PKR base around him. This will, of course, be extremely difficult, because the factions within the party will remain long after the dust of its internal elections has settled. But having said that, Anwar is in a much better position now that he has managed to secure a mandate from the people of Port Dickson. Beyond that, he needs to convince the Harapan base that he is indeed the reformer his supporters claim he is. The main problem his detractors – friends, fellow columnists, and political operatives of Harapan – have with him is his religious and racial politics. But as I argued in another piece, that the criticisms levelled against Anwar are unfair, because those very criticisms are an indictment against Harapan's religious agenda in general. “This, of course, is my main concern when it comes to Anwar. Truth be told, it is a concern of mine for most Malay political operatives. The old maverick Dr Mahathir Mohamad has a reputation for coddling but also confronting Islamic extremism in this country. Can we say the same of Anwar? As I said, I just do not understand these criticisms. I have problems with the racial and religious politics of Harapan, but this is an issue with the coalition, not with the man. Be that as it may, it is incumbent on Anwar to reach out to the Harapan base and allay their fears. Now, as an elected representative, his words and deeds will come under even greater scrutiny. 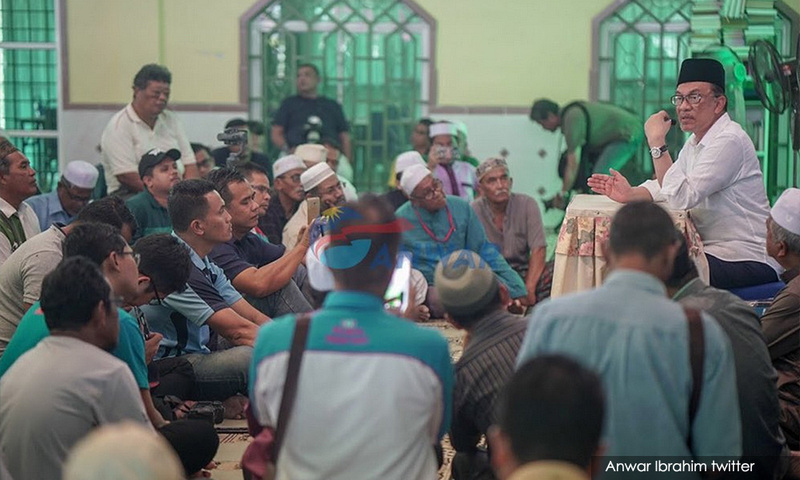 When racial and religious issues crop up – and they will – other Harapan political operatives may get a free pass; but if Anwar says or does anything that isn’t kosher, his detractors will bay for his blood. This is a mistake, of course, because the religious impulses of Harapan do not begin or end with Anwar. We are talking about a coalition which may have a progressive base, but does not have a greater progressive majority. No doubt with Anwar in play, Umno and PAS will attempt to use any and every opportunity to sow discontent in the Harapan base. They understand that when it comes to Anwar, that base is already sceptical of the man who, ironically, made regime change possible. This is why they, more than anything else, fear him. Does this mean when it comes to racial and religious issues, someone like me is going to give Anwar a free pass? Not likely. But Anwar and his people should be savvy enough to not fall for the traps set by the Islamists in this country, and he should not stoop to play the racial and religious game, because unlike the old maverick, he has neither the support nor the goodwill of the majority of the base. And it is going to be much more difficult for Anwar now. Whereas the Umno regime defined the Islamic narrative in this country, Anwar will now find himself the focus of the discourse. As it is, many of my friends – who will always disagree with me when it comes to the issue of Anwar – are gearing up for a fight because they know sooner or later religious and racial issues which impact the majority will come into play. Do not forget that part of Anwar's base wants him to champion the Malay and Islamic cause. As I said, the Harapan base is not all progressive. 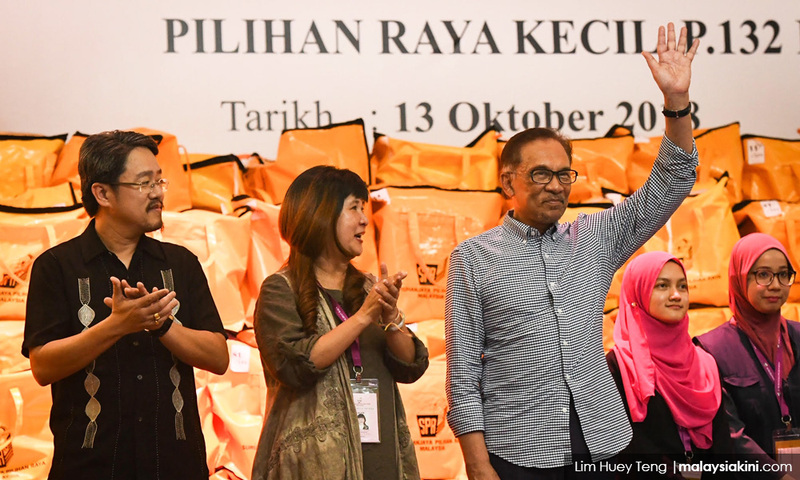 No matter what the political elites say, Anwar is waging battles on multiple fronts. He has to convince the progressive factions of Harapan while bearing in mind that he also represents Malay-Muslim rights. He has to get his house in order and worry about the other power structures that define mainstream Malay politics, who have had no problem using the security apparatus of the state against him in the past. We will constantly be told that all is copacetic on the good ship Harapan, but how far Anwar goes to pander to the Malay right is predicated on how far the Malay power structures in Harapan do the same, and of course how far the non-Malay power structures go to not spook the Malays. So welcome back Anwar Ibrahim. I know some from my community appreciate your antics lip syncing and prancing about to old MG Ramachandran tunes, but as an official representative of the Harapan government now, could you please endorse the move to recognise the United Examination Certificate to prove that the election manifesto isn’t worthless. That would be a good first move.